“Circadian” is a collection of twelve essays for adults that make use of both poetic and lyrical structure and mathematical and scientific practices. Through these lenses Chelsey Clammer explores mental illnesses, past stories of trauma, and a series of different relationships. From the first essay, formatted as a bulleted list, Clammer captures the reader with her unique voice and honest, raw vulnerability. Each of the following pieces are equally enthralling and stay with the reader long after the book has been closed. Collections like these are such personal things that it takes great courage to even write them down, let alone share them with the rest of the world. Each piece easily hold its own, and putting them together in one volume builds a powerful experience, seamlessly slipping Clammer’s audience into each new lens. In the first piece, she uses mathematics to explain an alcoholic father. Just a few pieces later, in “An Outline for Change,” mathematics reappear, accompanied by an exploration of mitosis to explore her father’s death. Throughout all of her essays Clammer maintains a lyrical voice that adds a bare, haunted feeling to the reading experience. Everything comes together to create a phenomenal piece of literature. “Circadian” serves as a testament that writing is an effective way of dealing with trauma and tragedy. Reading this work is both emotional and therapeutic. Discovering how another person handles difficult events in their life is fascinating and can be exactly what someone needs to survive their own. Clammer’s essays provide a study into her mind, as well as offers several new ways for the reader to view life. This is one of those books that everyone should read, if only to understand why it can become a favorite. “Circadian” is a unique work and has successfully garnered my interest in Clammer’s other books. Her essays are everything they should be; engaging, emotional, and very, very human. The reader can truly catch a glimpse of the person behind the words and use those words as a means of connecting with the author. 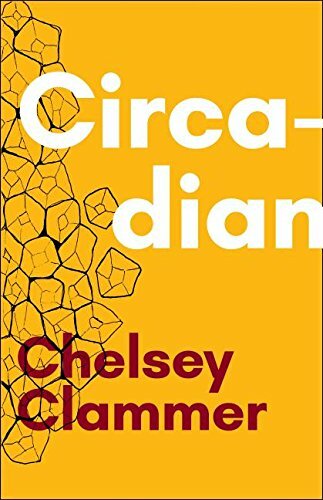 If you read just one essay collection this year, make it “Circadian” by Chelsey Clammer.